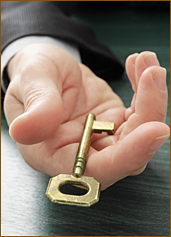 Contracts2Keys is the full-service real estate closing section of the Law Offices of Bradley Morris. With our experienced staff, we have developed a system to streamline the closing process to make it fast, uncomplicated and cost-effective. We have two Connecticut offices to serve you: Middlebury and Danbury; so Contracts2Keys is convenient for your closing no matter where the property is located. So, whether you are buying or selling a home, a commercial building, raw land, or investment property, Contracts2keys is your first source for real estate closing professionals. If you are ready to start the closing process or would like a quote Click Here and give us some basic information on your transaction.